An Irish poultry firm is planning to open its first UK plant in Wrexham, producing 600,000 chicks a week. Annyalla Chicks, based in County Monaghan, said it planned to take on 20 staff when it opens at the former Delta Foods site by the end of the year. The firm said it hoped to increase its workforce to about 50 as business expands in the next two to three years. The Irish Republic firm exports chicks to UK poultry farmers supplying fully-grown birds to the meat industry. Nearly a third of the chicks produced at the family-owned company’s hatchery are exported to the UK. The firm plans to move on to Wrexham’s main industrial estate. “We’re already operating at fully capacity and this new hatchery will enable us to meet the growing demand. “We’ve spent about 18 months looking for a suitable site in the UK. He said initially the hatchery would be supplying farmers with up to 600,000 day-old chicks a week at the hatchery, but this could increase to one-and-a-half million within a few years. 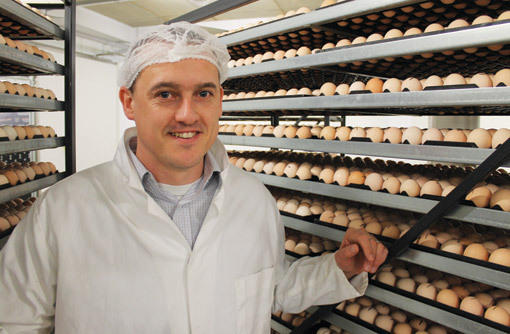 He said he hoped the development would encourage farmers working close to the hatchery to become involved in supplying eggs to the plant, but this would require “considerable investment”.